For me, being connected is important. As a teacher I’ve learnt so much and have found that passion for learning (that I felt was missing when I was growing up). I’m still working on sharing my ideas with people outside school- I’m still hesitant to do so as I feel I’m just repeating what everyone is saying. This is especially true for me on Twitter. After all aren’t we going for Professional Development sessions relating to our subjects? Isn’t that enough? We already have so much to do, why do we need to do something more? Going home and spending time seeking out new ideas and practices is not ideal- it’s family or me time. Why should I try to seek out new ideas- after all the school leaders make all the decisions anyway. We are constantly forced to accept their ideas. We’ve done things this way for nearly 20 years- it’s all a fad! I want to sometimes interrupt and say no it’s not a fad. Learning is different in today’s world and it’s not right to expect our students to learn the same way we did. I know I didn’t enjoy learning at school because I was spoon-fed. I wasn’t taught to think critically and therefore I often struggled (and sometimes still do) to articulate my opinions. My Year 9 students have a voice in their learning in my subjects. I’ve taught them since Year 7 and they are confident in speaking their ideas and help to decide how the learning will take place in my class. As a result they are engaged in class and I rarely have behaviour issues with them. So when they have other teachers who still use the “chalk and talk” method for the entire lesson and dictate how they should behave, they struggle and often misbehave because the classes don’t cater for their learning styles. Last year, I had students from the same class present their “Black Death” PBL unit in front of 50 teachers and principals during a staff presentation. When the students presented in class, I had our Technology for Learning Leader as well as House leaders as guests. Students created their own units on the Black Death that will be used with Year 8 classes this year. My current Year 8 students have their own class blog to showcase their learning. At the moment it focuses on developing their writing skills but I also use the blog to teach them about Copyright and acknowledging their sources. I’ve joined the school PBL Action Team to help develop units of work for Years 7-8 that incorporate Maths, Science, English and Humanities. As staff aren’t very confident about PBL and in the aim to promote it more in our school, the team provides a very structured unit of work. It’s still very much teacher-led but my hope is that other staff will start seeing the importance of PBL in the classroom and allow it to become more student-led. In a school as big as mine, we’ve had to follow this path in order to get more teachers on board. We still had a few complaints, but overall staff have been happy with the Year 8 unit we did in Term 1. Last year our Technology team trialled the Blended Learning Action Project. Not only were volunteers creating their own Blended Learning unit in their classrooms, they also learnt how to conduct their own Action Research. We had a lot of issues throughout the year, but eventually we managed to get on track. We ended the year with a Showcase, where staff presented their units to other teachers and school leaders. As one of the Tech leaders, I was amazed at what our volunteers had done. However those who weren’t involved in the whole process, were completely blown away. For many, the ideas were very new to them and they were presented with actual units of work that had been done in our school. The Showcase was supposed to be only for an hour after school- we still had people staying after 5 because they were so interested. I’ve come to the conclusion that whilst a conversation about being connected is good, it’s better to demonstrate the ideas in practice and then have the conversation. Staff need to see how it can be implemented and the benefits before they will adopt the ideas. That’s what will make them more willing to accept new ideas. Not everyone rushes to Twitter or blogs, but those of us who do need to show and demonstrate it at school. A few might even start a Twitter account or their own blog. An even better idea would be to get staff to be guests in our classrooms when students showcase their learning. 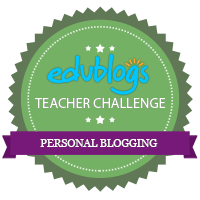 This entry was posted in Connected Educators and tagged AITSL 2.6, AITSL 4.5, AITSL 6.3, AITSL 7.4, YourEduStory.